We are supporting Canterbury District Health Board to appoint a permanent, full time Consultant Gastroenterologist to be based at Christchurch Hospital. A fixed term appointment would be considered if requested. The Canterbury District Health Board is the largest tertiary, teaching and research hospital in the South Island of New Zealand. The hospital operates 600-650 beds and provides services to over 35,000 inpatients each year. 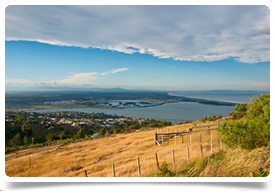 The Gastroenterology Department provides comprehensive secondary and tertiary level inpatient, and outpatient services to Canterbury and locations throughout the South Island. Competence in general gastroenterology and endoscopy is required, and sub specialist experience is welcomed. The position entails provision of clinical training and supervision of medical staff, students and other staff as required, participation in the gastroenterology on-call roster, and participation in Departmental research and audit activities. Christchurch is the largest city in the South Island. It is the main transport hub for the Canterbury region offering a Domestic and International Airport, Bus Terminal and Rail Link. Widely known for its fantastic eateries, bars, shops and all manors of leisure pursuits, it offers everything from hot air ballooning, swimming with dolphins, mountaineering to skiing slightly further south. If you have a love for the great outdoors, where better to base yourself that in Christchurch. Viewed as a gateway to the South Island, this beautiful city offers something for everyone.